Alexis Sanchez is proving to be yet another failed no.7 for Manchester United. Under a year ago, the Red Devils were ecstatic to have signed the Chilean, with many hailing him to be the solution to the club’s scoring and creative woes. However, that has simply not happened. Sanchez has looked well below par at United, with Mourinho being forced to bench the former Barcelona star repeatedly in recent fixtures due to no signs of improvement. Already, murmurs are making the rounds that he could be on his way out. Further, in signing him, United could have made an expensive mistake in more ways than one, with some of his teammates refusing to sign new deals until their wage package resembles the monstrous sum that Sanchez makes every week at Old Trafford. Now, Andy Mitten, writing for Unibet, has added some interesting points to the discussion: “Unlike [Angel] Di Maria, Sanchez’s teammates don’t think that he’s given up. 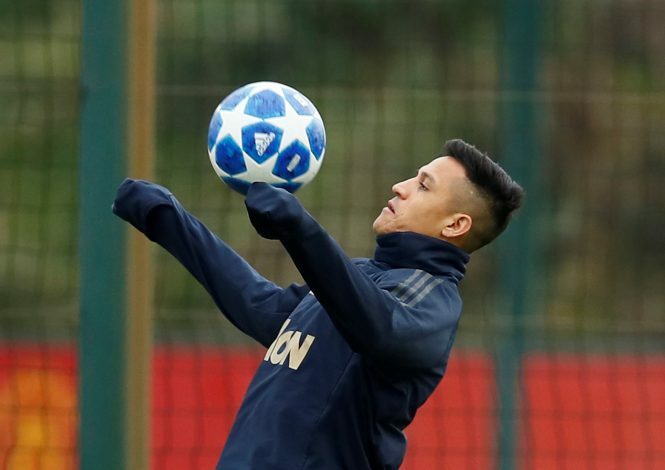 Essentially, what fans of the Red Devils across the globe have been fearing by seeing Sanchez on the pitch, is shared by the very players that share a dressing room with him. This further adds to the possibility of him not staying with the Premier League giants for too long, and one does wonder where he’d be headed next?